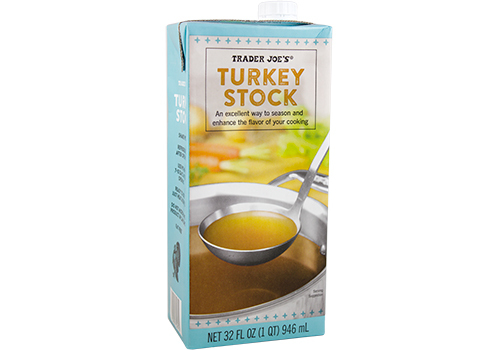 What to buy at Trader Joe's for faster, easier Thanksgiving day cooking. 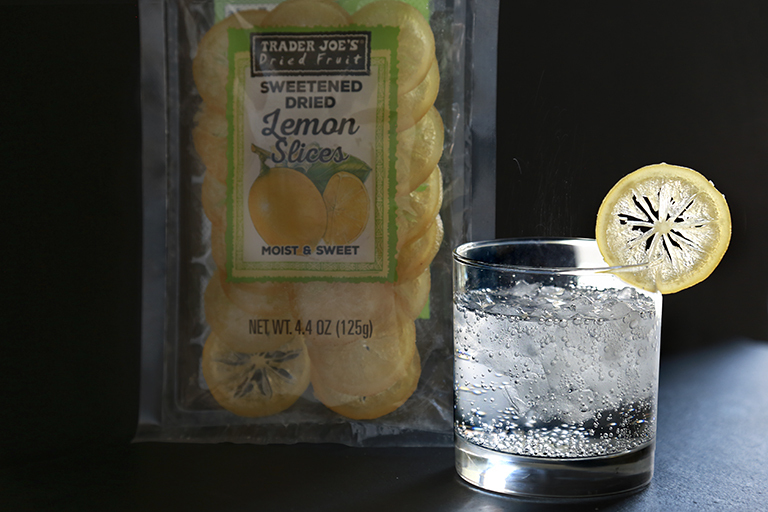 What to buy at Trader Joe’s for faster, easier (and more delicious?) Thanksgiving day cooking. We love nearly everything at Trader Joe’s, but are especially appreciative of their time-saving shortcuts and well-priced specialty products, which are even more helpful during the hectic holiday season. So this year, we found the best Trader Joe’s products to help make your Thanksgiving cooking faster, easier, and at least as delicious (if not more) than if you’d cooked the entire meal from scratch. 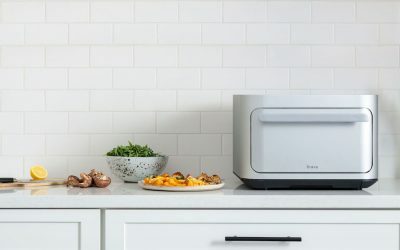 Because everything tastes better when made by a relaxed host — even if a few store-bought shortcuts were used. 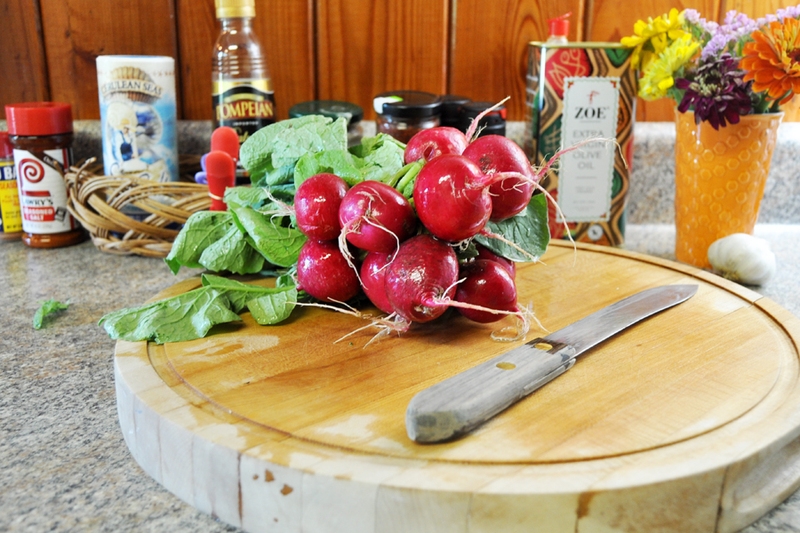 Related: 8 things you should always buy at Trader Joe’s to save big on groceries. These Sweetened Dried Lemon Slices are on the top of my list. Oh the possibilities! I can’t think of an easier way to garnish holiday drinks, baked goods, and even platters (surround that turkey with these and a bed of rosemary sprigs) for effortless holiday gorgeousness. Every 4.4 ounce package sells for $2.99. Stock up. 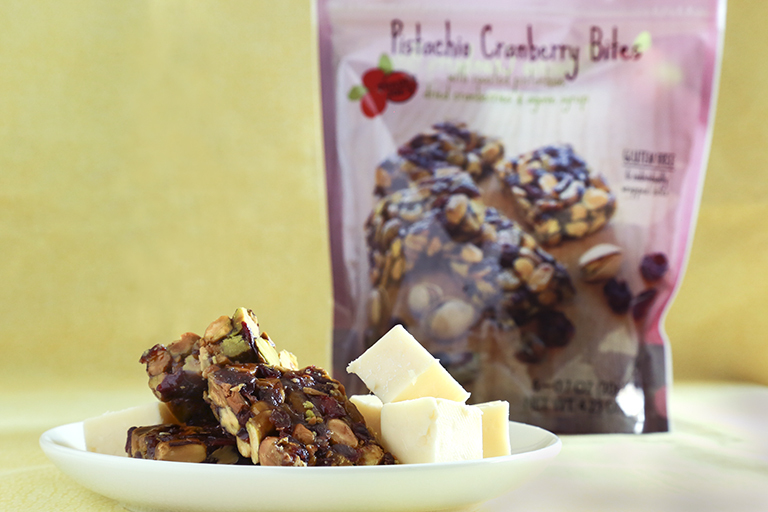 These Pistachio Cranberry Bites will make a fantastic everyday snack, but also double as a great addition to your holiday cheese plate. You won’t want to skip crackers, but add these to the mix for a variation on shape and color (visual intrigue!) and taste (sweet and salty!). Each package of six individually-wrapped bites costs $3.99. Okay, you want to talk turkey about easy Thanksgiving hacks? This Fully Cooked Brined Bone-In Turkey Breast can eliminate that turkey cooking stress all together. 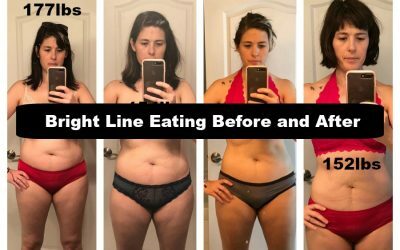 This is perfect for anyone who is hosting a party where meat-eaters are in the minority, or if you are eating Thanksgiving dinner at someone else’s place and worried that you won’t get any leftovers. It’s always good to have a back up plan! This sells for $6.99 per pound. 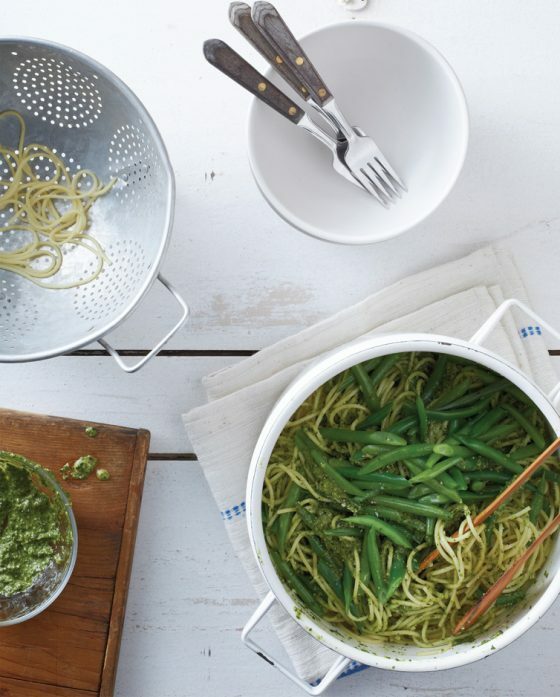 Related: 6 easy-to-transport Thanksgiving potluck recipes. Turkey stock is the secret to a fantastic gravy (and also to saving dry turkey — not that it will happen to you, of course), but making it on your own can be a stressful, last-minute endeavor if you’re not used to (or good at) juggling multiple things on the stove. 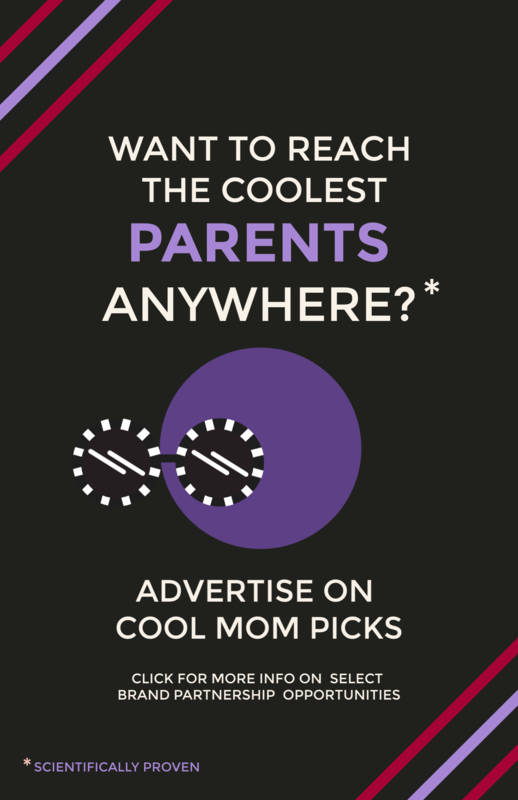 So buy some instead! It’s fat-free and just $2.99. 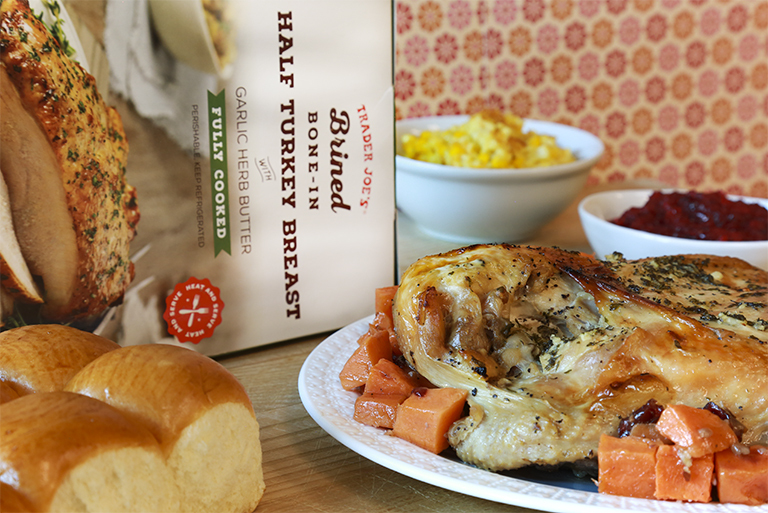 Don’t make gravy an after though — or another thing on your cooking to do list! 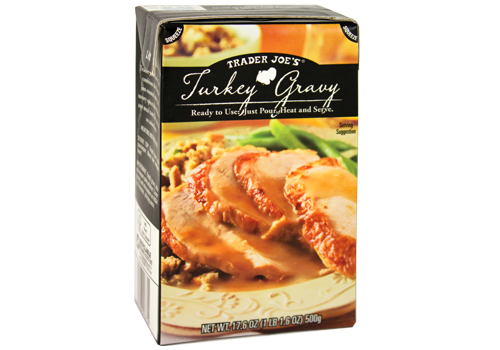 Trader Joe’s is selling a ready-to-use Turkey Gravy that will save the day. 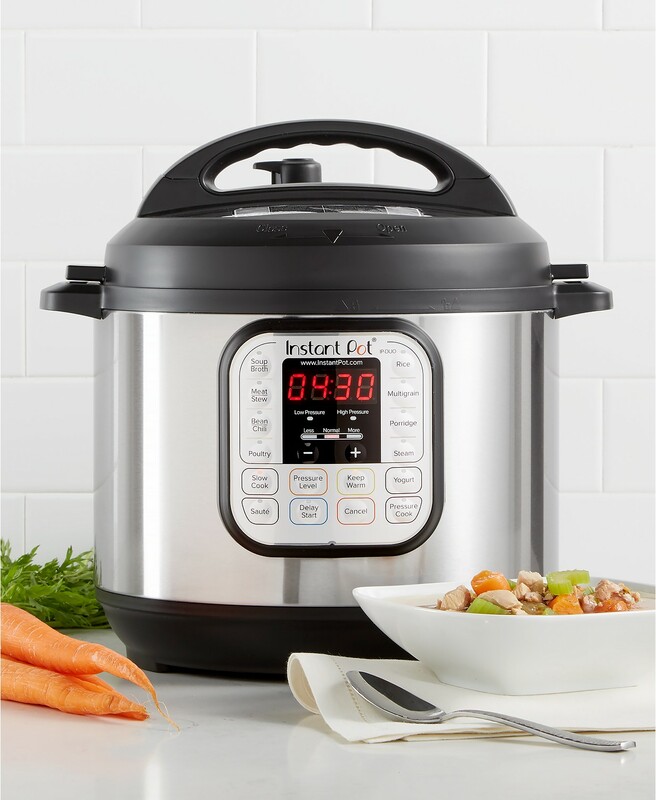 And, hey, if you’re worried about your guests knowing that you just grabbed a 17.6 ounce box for $1.49, just pour it into a saucepan before they arrive, throw in some aromatics and herbs (a few smashed garlic cloves and sprigs of rosemary), and let it warm over a very low heat, allowing the fresh ingredients to infuse your store-bought gravy with fresh, homemade flavor. 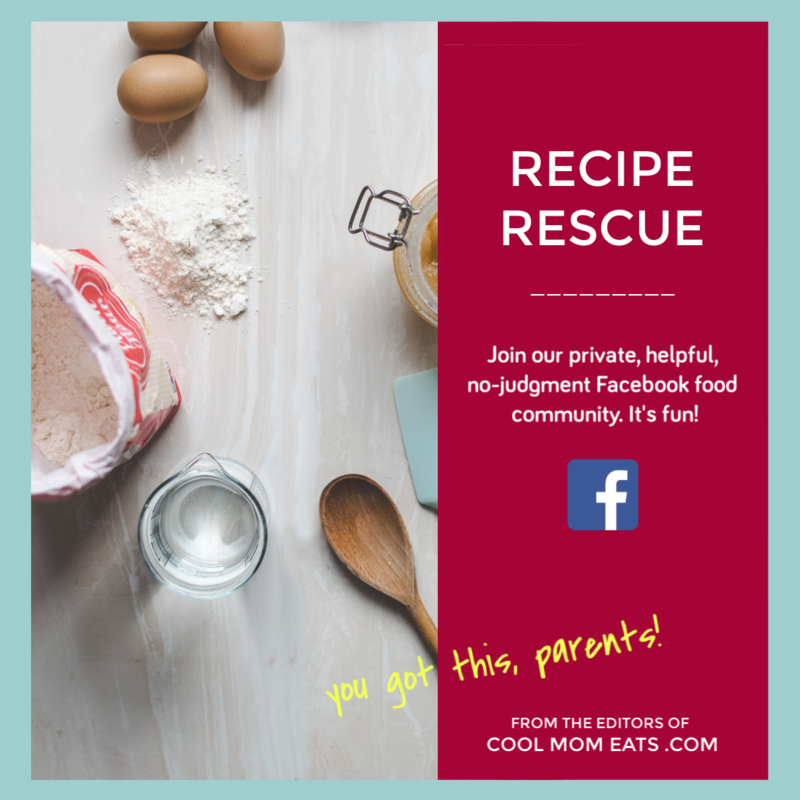 We love mashed potatoes here at Cool Mom HQ — we even have tutorials on how to make mashed potatoes in the microwave (totally holiday worthy) and slow cooker mashed potatoes — but we understand the impulse to go healthy whenever you can. And when mashed cauliflower is so totally delicious, why not make the swap, right? 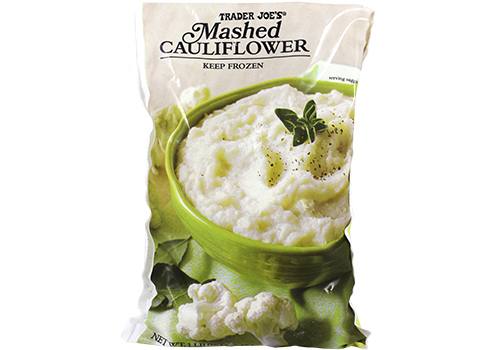 TJ’s makes it easy this holiday season with their frozen Mashed Cauliflower. Every 16-ounce bag is $2.99. 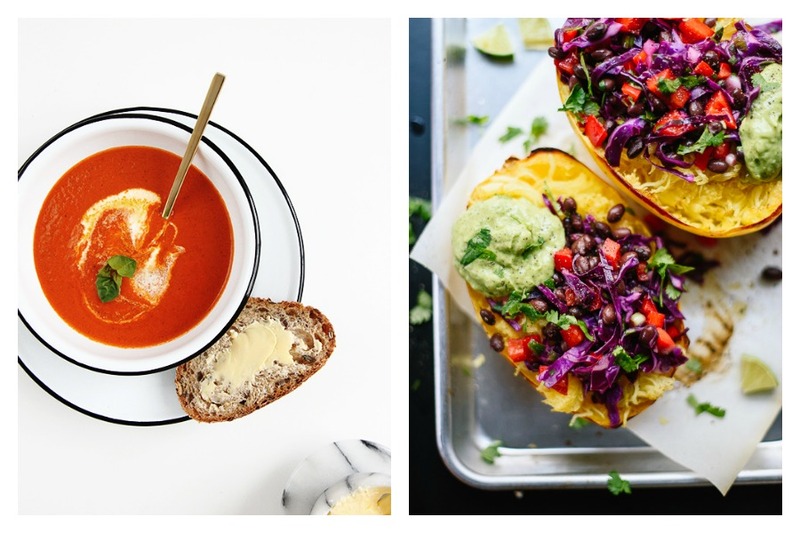 Related: 11 make-ahead Thanksgiving recipes, so you can focus on the turkey. Squash is a quintessential harvest vegetable, but oh the work! 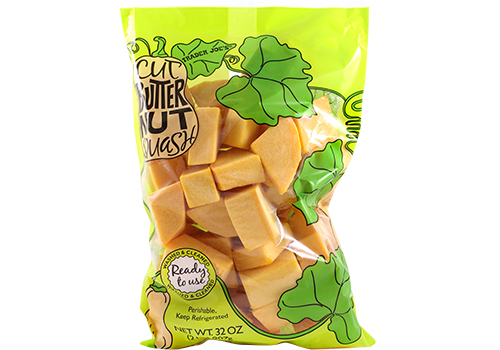 Make things easy by grabbing a few bags of Trader Joe’s pre-cut Butternut Squash. You can steam and puree, roast (this Roasted Squash with Ginger Shallot Brown Butter is one of my absolute favorite recipes), or do whatever else you desire more easily. A two-pound bag costs between $3.99-4.99, depending on where you live. Let’s be honest: Those fried onions on top of green bean casserole are totally worth the calories. But the cooking time? Not so sure. 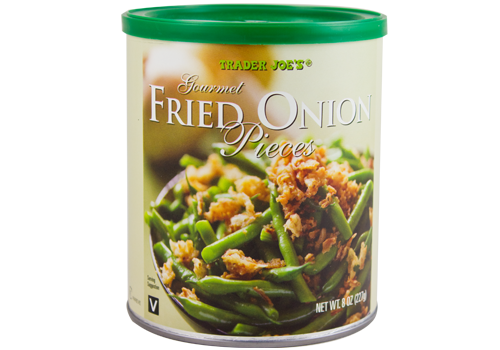 If you’re not sure either, pick up an eight-ounce package of Gourmet Fried Onion Pieces for $2.99 at TJ’s. 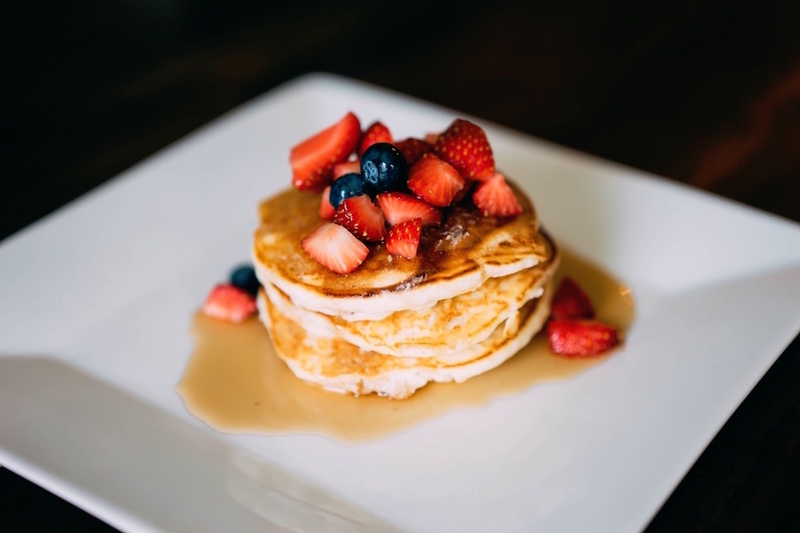 They’re made with nothing more than onions, veggie oil, wheat flour, and salt. Perfect. 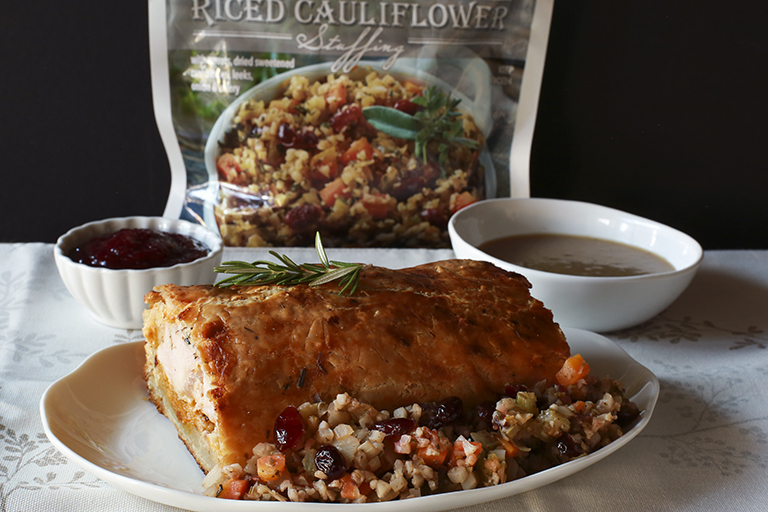 Let’s be honest: stuffing mix can be pretty tasty. 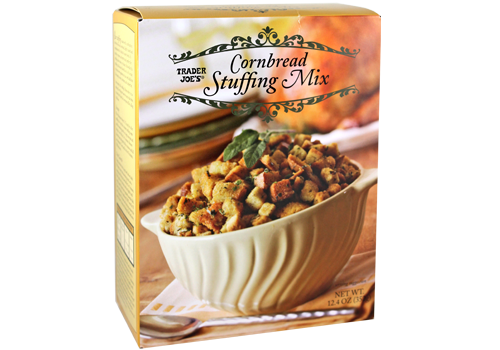 We’ve got our eyes on this Cornbread Stuffing Mix made with a mix of white bread and cornbread flavored with a seasoning blend of onion, garlic, parsley, celery, and morsels of Champignon mushrooms. A 12.4-ounce box sells for $3.99. Another stuffing option? How about one with all the flavor but without any bread? Sounds intriguing and, I’ve got to say, I find it hard to resist this Riced Cauliflower Stuffing. If you don’t grab it for Thanksgiving, it might be the perfect no-too-unhealthy way to keep Thanksgiving flavors going even after turkey day. Related: 7 of the best stuffing recipes that are simple and awesome, as stuffing should be. No Thanksgiving table is complete with out soft, fluffy dinner rolls — pretty much the last thing I’d ever have time to make homemade. 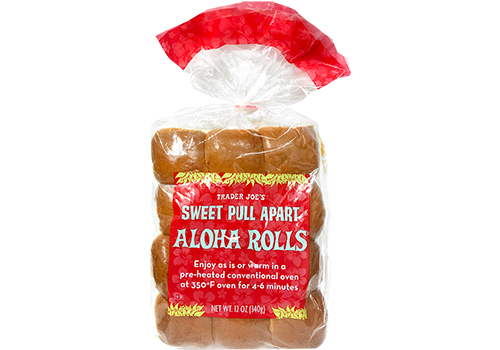 If you’re in the same boat, these Sweet Pull Apart Aloha Rolls to the rescue! Simple business, people. Each 12-ounce package of a dozen rolls will run you $2.99. I love a good homemade Thanksgiving pie recipe, but I don’t always have the time to make one from scratch. 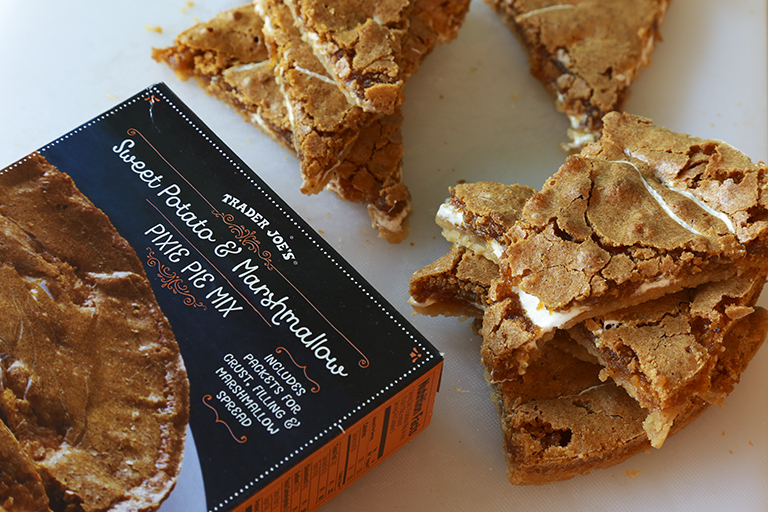 If this is one of those years for you, this Sweet Potato and Marshmallow Pixie Pie Mix is the perfect solution! 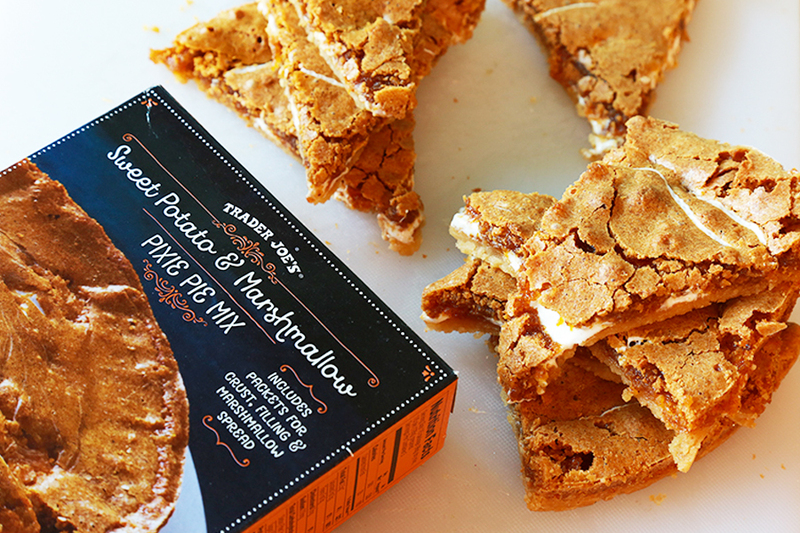 This box has everything you need to mix up a crust, sweet potato filling, and marshmallow spread. 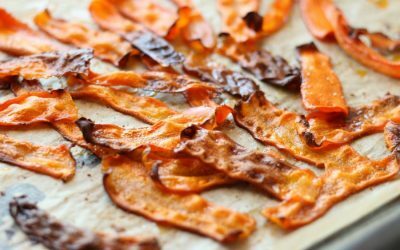 All you have to do is add melted butter to the crust, and while it bakes, mix the sweet potato filling with egg and water. In just 30 minutes, you’ll have the perfect semi-homemade Thanksgiving dessert, and for just $2.99. If you prefer fruit pies, these Apple Cranberry Tarts are what you need! Made with Northern Spy apples and cranberries folded into flaky pastry dough, they are the perfect Thanksgiving substitute for apple pie. And elegant, too, served up in individual servings. 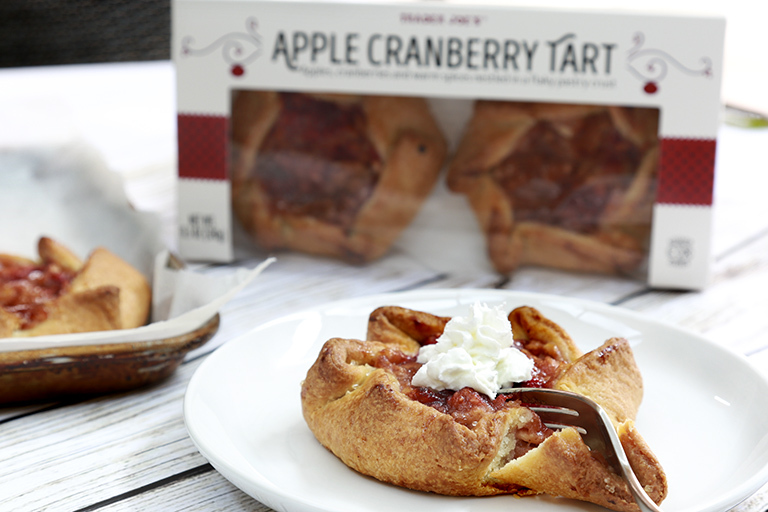 Each 11.29-ounce box has two tarts and sells for $3.99. Why doesn’t trader joe’s carry that coconut whipped cream all the time???! It’s crazy amazing! Last year it was more popular than regular whipped cream for those who could have dairy. The Miyokos non dairy butter is hands down the best, another must for dairy free holiday meals.